Nuuksio National Park during week 46, between 12.-18.11.2018. 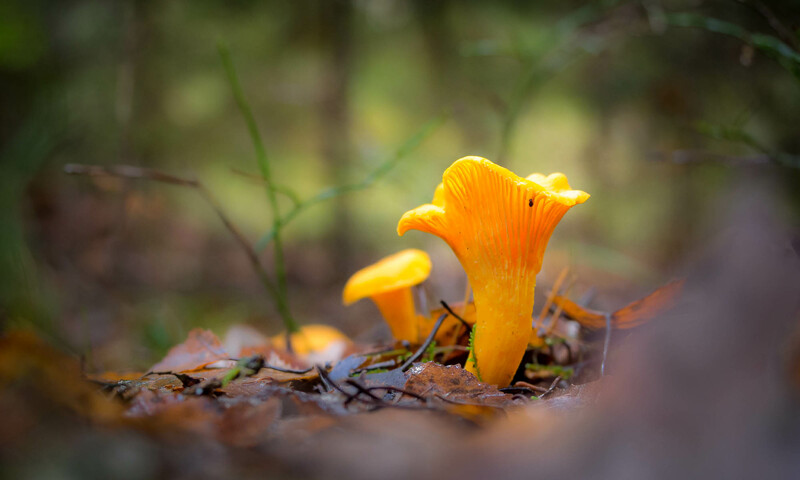 November and December tend to be the gloomiest months of the year, and it’s true that there is less daylight, but look what summer delicacies you can still find in the forest, chanterelles! This week starts with two rainy days, but from Wednesday onward the weather looks to be good. Rain means mushrooms, empty trails and lovely atmosphere among the trees, so no reason to be afraid of it. Not when you can borrow all the rain gear from me.